Hattiesburg, MS– National Donor Sabbath is a time for faith leaders from many religions, donor families, transplant recipients and donation and transplantation professionals to participate in services and programs to educate the public about the need for the lifesaving and healing gifts passed to others through transplantation, while also encouraging people to register their decision to be organ, eye and tissue donors. 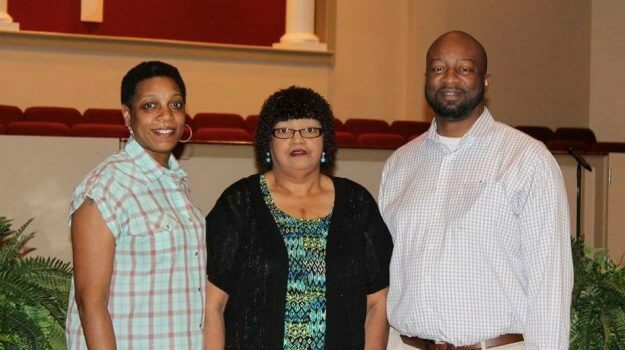 In 2016, National Donor Sabbath will be observed Friday, November 11th-Sunday, November 13th and this year will have a special meaning for kidney recipient Michael Minor, a pastor at West Point Baptist Church in Hattiesburg. “I share with others how selfless of an act it was that was bestowed onto me,” said the 45 year old Minor, who first learned he would need a transplant in 2012. “My faith in God was paramount. It was really all I had. It gave me something to hold on to through the process,” said Minor who has been at West Point Baptist Church for 17 years. His miracle would come in the form of a tragedy that hit one of the families in his congregation in September of 2015. Adrian Murry and her 25 year old son Kendrick had plans to watch Mississippi State University and the University of Southern Mississippi play football in Hattiesburg on Saturday, September 5, 2015. Kendrick never showed. He had suffered a seizure at work and hit his head as he fell. One week later, he was pronounced dead at Forrest General Hospital. Given that this was an unspeakable tragedy for this mom and mother of three, Minor believes that Adrian’s faith played a large part in helping her deal with her son’s death and understand his wishes to be a donor. “It is counter to human nature to think of someone else at that moment. Faith defies logic a lot of times,” explained Minor. She says that she often shares that message with family members and one family member knows all too well the importance of that message. Murry’s cousin, Clintoria Johnson, who was the recipient of Kendrick’s heart, a fact she didn’t learn until seven months after Kendrick’s death and one day before his birthday. National Donor Sabbath is observed annually two weekends before Thanksgiving, from Friday through Sunday. This three-day observance seeks to include the days of worship for major religions practiced in the United States. Across the country, a new patient is added to the national transplant waiting list every 10 minutes and an average of 22 people die each day awaiting a lifesaving transplant that never comes. One organ donor can save eight lives and one tissue donor can save or heal the lives of 50 recipients or more.